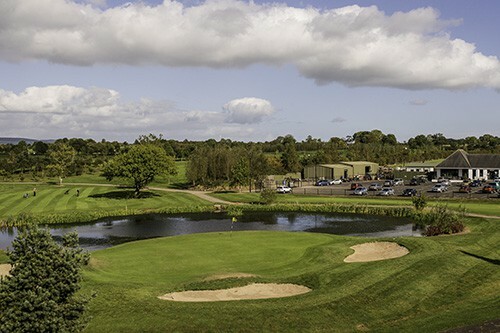 Built into the lovely rolling countryside of Co. Antrim, this 18 hole golf course with its 6 lakes and extensive tree planting offers a challenging game of golf for the experienced golfer. The course is 6031 yards (5,515 meters) Par 70. Practice area are available to sharpen the chipping skills before starting your round along with a nine hole putting green. 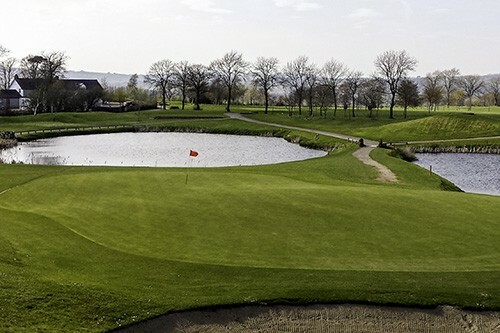 You can book a round of the Greenacres Golf Course up to 7 days in advance. BOOK ONLINE or contact reception on (028) 9335 4111 to reserve your place. Societies, Corporate & Charity Days are welcome - get in touch to discuss your options. Meals are also available at Barnaby's Restaurant overlooking the 18th Green. Contact Barnaby's directly for bookings. After driving over a lake to a large green with 3 strategically bunkers, this hole presents a real challenge. A dog-legged hole with the green being reached by driving over a lake.